Clarimonde, a photo by Ayala Moriel on Flickr. Tonight I'm celebrating with Dreaming Parallel, the perfume I created last year for the Clarimonde project. There are 2 bottles remaining from this haunting limited edition of half-faded roses, dark violets, musk, turn of the century patchouli and cloves, carnation, narcissus and dragon's blood (it's an actual plant resin, which is as red as blood and which I've ground and tinctured especially for this vampire-perfume). 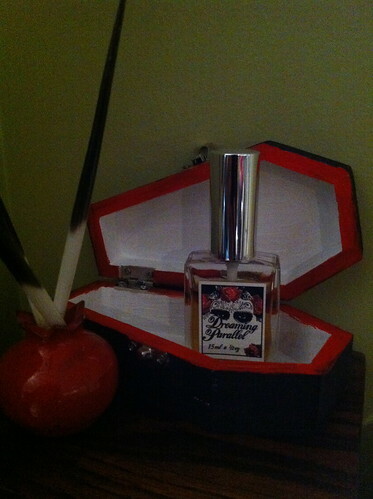 The last 2 bottles are presented in a little hand-painted wooden coffin. Song of Songs Incense Cones, a photo by Ayala Moriel on Flickr. Song of Songs perfume is made from ancient resins, so conceptually, it lends itself easily to an incense form. I've blended together labdanum resin (a sticky paste, resembling tar), sandalwood, agarwood, frankincense, myrrh and rose petals to make this incense. I've even went the length of forming it with a little cone mold (this was the 4th batch of incense cones I've made, and I wanted the cones to be pretty, solid and uniform). And they sure were all of that! However, the high ratio of resins created a serious technical problem: the incense would not burn through. That's no joke. 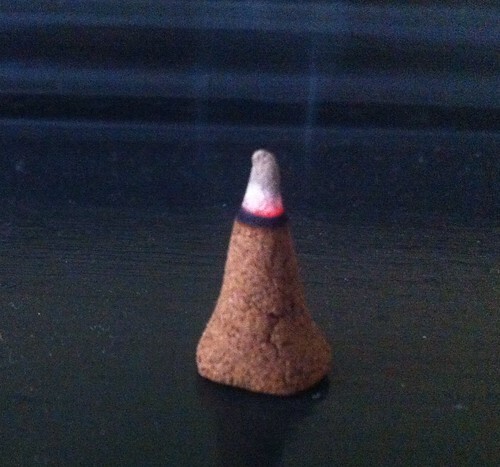 You can't enjoy incense if it doesn't get consumed by the ember. The heat is what transfors its organic fragrant matter into smouldering smoke-perfume. To fix this problem would have required breaking down all the beautiful cones, and adjusting the formula to add more woods that will help it burn through. This was not something I was excited about doing. So I put it aside for a long time. And even then, there is no way of guaranteeing that the formula will work (meaning: it might take more than one time of forming, drying, testing and breaking down again...). Not something I was looking forward to do. Once I mustered the amount of willingness for this sisyphal work (which took a few good years, to be perfectly honest), I've done just that. This time I shaped them smaller, and all by hand again. They may not be as perfectly uniform as they were before; but at least they are funcitonal! 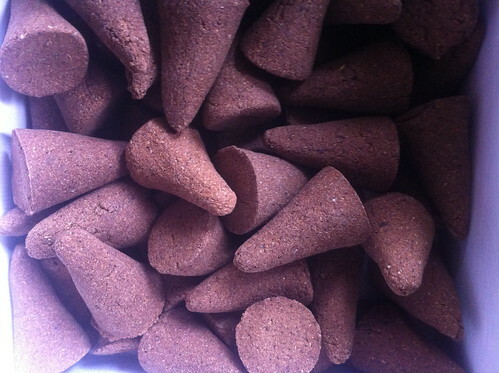 I'm burning one of these labour-intense cones as I type this. There is a bit of hit-and-miss in terms of how even it burns (some of the incense spots were not completely ground and they kinda block the ember). But it's ten times better than before. As the ember consumes my little cone, it unleashes smoke that bring to mind ancient rituals from the beginning of mankind. While the perfume Song of Songs is utterly sensual, incense smoke is purely spiritual, assisting the soul to transcend above matter, and connecting one's breath to the beating heart at the depths of the dark waters of creation. 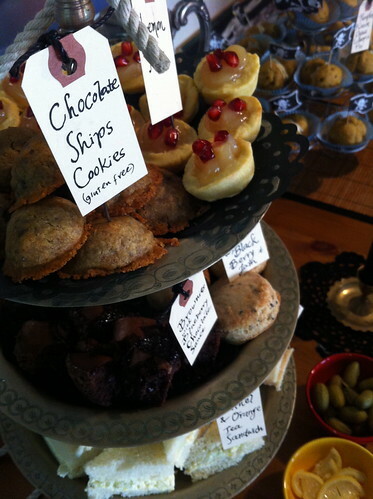 Chocolate Ships Cookies, a photo by Ayala Moriel on Flickr. This weekend we held a Halloween tea and perfume celebration, with guest appearance of the great and terrible pirate Blackbeard, and his bearded lady friend (BTW - she has a goatee and loves the new oil!). Featured Interactive Presentation: The Nearly Non-Existent Grooming Lives of Pirates, and demo by the Bearded Lady - and a special appearance by Blackbeard himself! 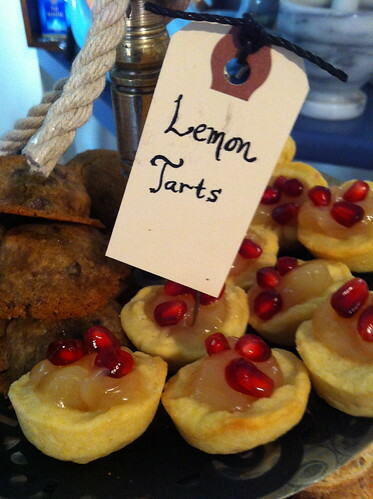 Heavy spices will mask the rotten foodstuff at sea, and lemons in all shapes and forms will take care of scurvy... Enjoy! 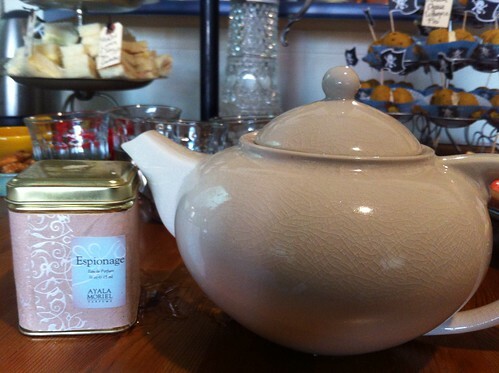 - Ayala Moriel's Espionage Tea(Lapsang suchong, Assam tea, vanilla, jasmine and rosebuds). 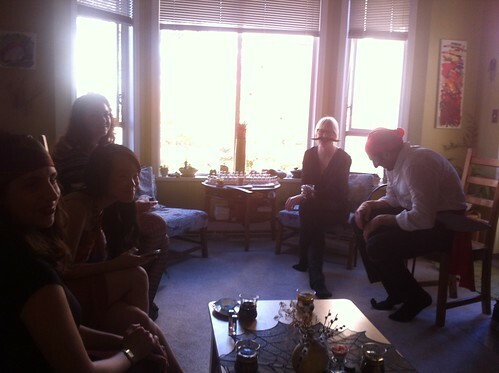 This was the very last tea party that I would be hosting at my home studio on 1230 Haro street. I've been hosting these sensual gatherings since 2009 (and hosted 30 parties so far, all with original menues and recipes). 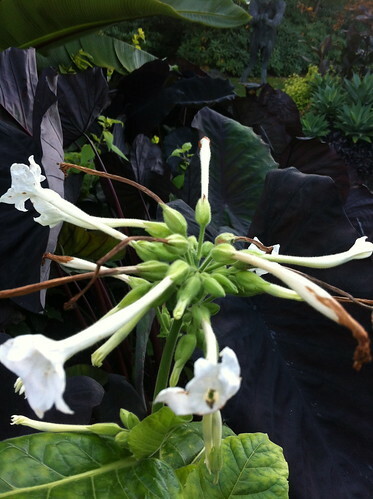 They were a wonderful way to build a community and nurish (the barely-existent) scent culture in my city, and encourage people get in touch with their senses, in particular the sense of smell. The side effects of this wild venture included (but were not limited to): making new friends, enjoying fine teas, brewing wild cocktails, perfume indulgence, outrageous menues and orignal recipes of hand-made pastries made by hand by yours truly. For more pics from the party, please visit my Flickr album! Free shipping on all orders of $120 and more at ayalamoriel.com thru October 31st. This is a much needed promotion to help me fund the re-launch of my tea line at the inaugural Vancouver Tea Festival, November 2nd. It's no secret that I oppose GMO (Genetically Modified Organisms) technology. The notion of consuming vegetables with lethal viruses and pesticides built-in to their DNA is not only non-appetizing to me, but also has taken a toll on the environment that we are only now beginning to see (the alarming rates of honeybee deaths, for instance). With a technology that is defined as "Synthetic Biology", scientists in large phramaceutical firms are interfering with natural yeast fermentation by injecting it with DNA that will convince it to turn organic matter into molecules otherwise occurring in precious spices such as vanilla, saffron and cinnamon does not excite me either. It's a process similar to beer fermentation - but produces various molecules instead of ethanol (the grain alcohol found in beer). There is much that we don't know about the world of fungi, and it's role in this earth's ecology and it cringes me to think how our planet's health could be further compromised. Not to mention its implication on growing true spices in (mostly poor) countries like Indonesia, Sri Lanka, Madagascar, Brazil and many more than I can even list here. And it will affect many farmers, perfumery raw material growers, and distillers. In Madagascar alone there are 80,000 vanilla farmers, poor and honest people that tediously hand-fertilize their orchids and provide us with real vanilla beans. We might just have to forget about vanilla beans, and those farmers will just have to support their families by digging cassava roots from the ground. "The advent of synthetic biology raises thorny economic and regulatory issues, such as whether such yeast-made ingredients can be called natural and whether developing countries dependent on these crops will be hurt". Science has become a greed-driven industry that releases its Frankenstein into the wild way too soon. Let's just follow our greed, and find out about the consequences are later. I'm certain that the solutions to the problems that will arise will be bring a steady flow of cash to those who created these problems in the first place. 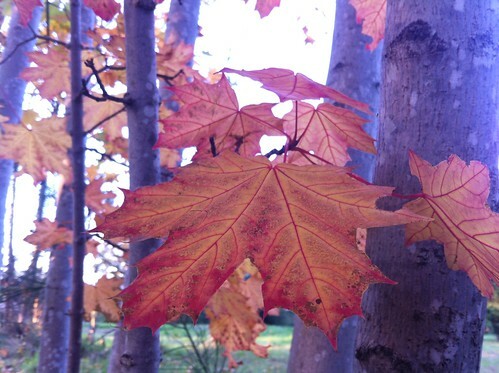 Floating maple leaves, a photo by Ayala Moriel on Flickr. The other day I had a "Eureka!" moment, when upon blending the 2nd version for my Immortelle l'Amour tea (which was discontinued a couple of years ago, when my tea blending master Dawna retired from the business - though I always hope only temporarily! Her tea blends are exceptional and inspiring). So the moment it got to where I wanted it to be made my heart skip a beat: I smelled the blend, and it reminded me both of my perfume, and of Dawna's original blend. I had to steep a few teapots before sharing the news (what if it was just that scoop that tasted like this? ); and yesterday it passed the final test, as I shared a tea pot with this tea's greatest fan - my friend Dean. While it is obviously more vibrant and fresh than what I have left from the previous tea version, I think I've finally nailed it down. Yay! It was a tremendous challenge to source all the ingredients I needed to re-create the blend, and have my own seal of approval of it, and embed my own interpretation of tea into the project. The first new tea blends I released (Charisma and Zangvil) were my own original blend, so it was a lot easier to simply go wild and blend the best imaginable tea surrounding the chosen ingredients, and with reference to the perfume as a starting point. Both were a purely creative adventure. Charisma being my very first tea blend ever, which was based on a blend of fresh spearmint and verbena leaves with jasmine green tea (and had to be modified for a dried herb and tea blend); and Zangvil being a multi-faceted tweaking project for a very clear vision of a perfumed tea I had in my mind. With Immortelle l'Amour and with Roses et Chocolat the challenge was greater. First of all, sourcing wise, it was a lot more difficult than I even imagined to source the tea leaves themselves (the black teas for Roses et Chocolat; and the rooibos - as common as it may seem, is difficult to source high quality in bulk, while meeting various wholesale companies' minimums...). 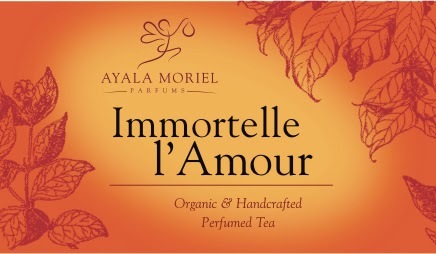 My new version of Immortelle l'Amour is based on a robust, full-bodied organically grown red rooibos, a tad malty, reminiscent of vanilla-scented tobacco, ripe apples and is utterly smooth and sweet as it is. With the added elements of Yellow petals of organic calendual add a fiery visual effect that truly reflects the tea's warmth and golden sweetness. Immortelle l'Amour tea is prepared by steeping the tea in boiling hot water for at 5 minutes. Another brew can be made by re-steeping - resulting in a milder tasting liquor, but still very fragrant and flavourful. Double steeping is rarely a possibility with rooibos teas, so you can only imagine how excited I was about the potency of this tea! Immortelle l'Amour tea has a very smooth, almost velvety finish, and a sweet aftertaste. It is delicious on its own. For added sweetness and to exemplify the maple-theme of the perfume it was based on*, add a few drops (but no more than 1/2 teaspoon) of maple syrup. And to make it even more luxurious - add a splash of whole (and preferably non-homogenized) milk. Suggested pairing: this tea will make a wonderful addition to brunch affair with cinnamon waffles or whole wheat pancakes, served with real maple syrup, of course! 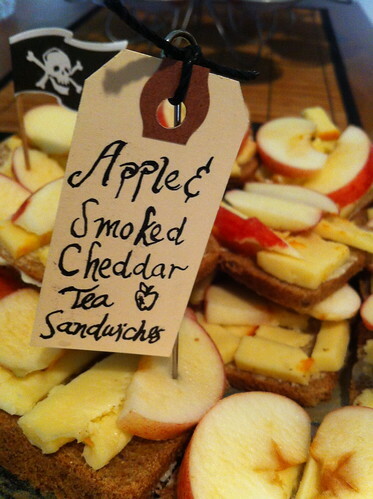 It also makes a luxurious, relaxing evening or afternoon tea on its own or with a slice of pumpkin pie or with few dried Gala apple chips on the side. Kids particularly like this tea, as it is sweet and fruit and flavourful but gentle on their delicate palates. 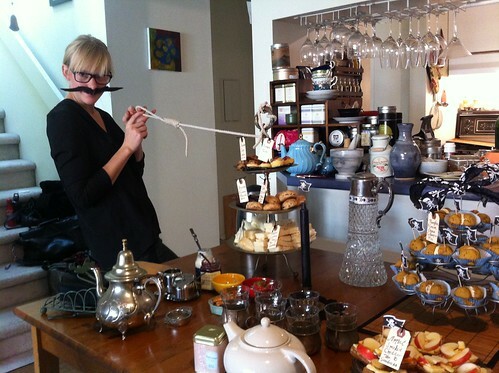 For a grownup's nightcap, add a shot of whiskey to a warm cup of Immortelle l'Amour tea and stir with a cinnamon stick! The next phase is completing the design and print of the label - and of course going to production and making a first larger scale batch. I'm excited and thrilled that it will not only be ready in time for my Halloween Tea Party, but also for the inaugural Vancovuer Tea Festival which I'm part of, taking place November 2nd, 11am-5pm at the Creekside Community Centre in the Olympic Village (1 Athlete Way, Vancouver). You can get your advance tickets for the festival, and also pre-order your own tin of Immortelle l'Amour Tea (please note that it will come in a 2oz white tin, the new tins like the one I was using for the Charisma and Zangvil teas - I just have to wait for the labels to be ready before I can do an Immortelle l'Amour tea photoshoot!). "Jolie madame 1958" by Pierre Balmain, a photo by jinterwas on Flickr. Lemon Verbena, a photo by Ayala Moriel on Flickr. After a long retirement, my teas are finally being gradually re-stocked. It's been a long journey - and I'm still walking the last few steps of it - getting all my ducks in a row so to speak. Tea blending is a whole other world, and its similarities to perfume development are also the culprit of this endeavor. Tea requires TIME. Time to source, evaluate, steep, re-steep, take notes, blend, make errors, re-blend, steep, re-steep, re-steep again... You get my drift. As for Charisma tea, the formula or recipe was developed long time ago. In fact, it was the first tea I've designed by myself. The challenge now was acquiring lemon verbena. I'm a bit sentimental, but I am incredibly partial to the lemon verbena that grows in my home village of Clil. I've told you about it and how much I enjoyed the fresh leaves this summer. Whenever possible, I prefer to source from small grower and harvesters, or harvest myself. Verbena only grows in the summer, and is dried late summer and early fall. Which means that once the supplies run out, you'll have to wait another full year to enjoy it again. This is true to most if not all tea types. 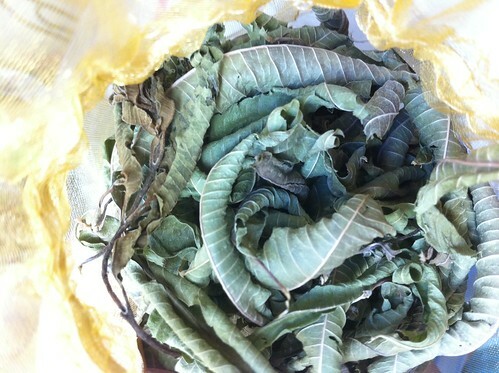 Some are harvested only once a year (such as the white teas), and therefore once they're sold out, it requires taking the product off the shelves for a while. This is perfectly fine by me, and part of the beauty of nature's cycles. However, it did take me a bit of time to learn these cycles - and I still am learning. Which means that my teas are not available year-around, but only while quantities last and until the next harvest is ready. 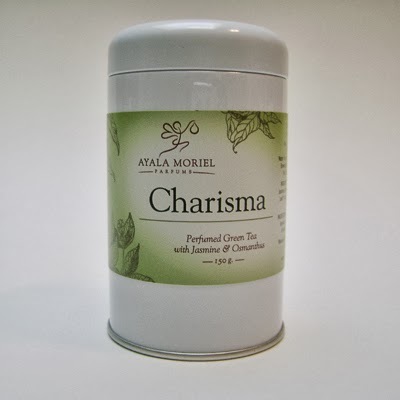 The other ingredients in Charisma also had to be top quality: fragrant jasmine sambac tea, organic spearming, and the most luscious, apricot-y and velvety osmanthus blossoms available. I love the new packaging for my teas, and each tin holds different weight of each tea (but the volume is, roughly 2oz). 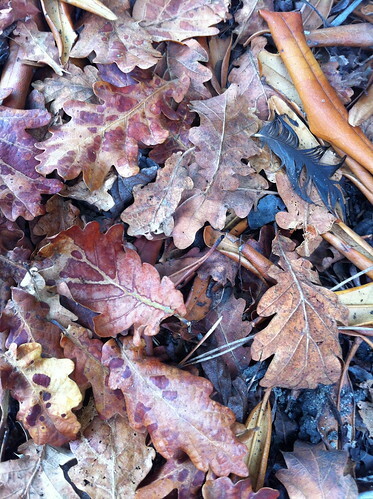 Some leaves are larger and looser than others (i.e. 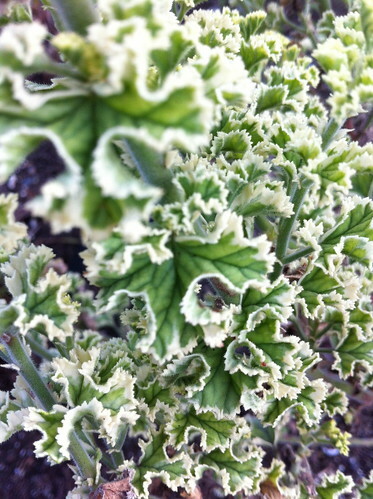 : the silver needle that makes most of Zangvil tea), and some are more dense (i.e. 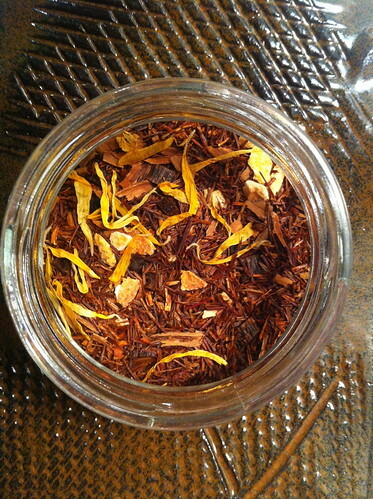 : Immortelle l'Amour, which is based on rooibos tea, is like tiny packed red twigs). I'll be releasing more teas as the winter holidays approach and the packaging is ready for my full collection to be re-instated: Charisma, Immortelle l'Amour, Roses et Chocolate and Zangvil. And next year, prepare to enjoy some more innovative teas, some featuring wild-harvested botanical from the Pacific Northwest rainforests! Fragrance Garden, a photo by Ayala Moriel on Flickr. VanDusen gardens in mid-fall is not quite as glorious as in the beginning, where the summer's abundance is still apparent; nor as majestic as later in the fall, when the leaves have fully changed their colours, painting the horizon with deep red flames of Japanese maple, burnt orange, russet and caramel from the various deciduous trees. It is somewhere in between - with the last flowers in still bloom (many of which are purple, I noticed), mushrooms popping up here and there - farewell to all that's sweet and abundant before we fold up the picnic and get in for a long dark winter. Our walk ended at the fragrance garden - a tiny plot packed with flowers, shrubs and bushes that exude scent in one way or another. 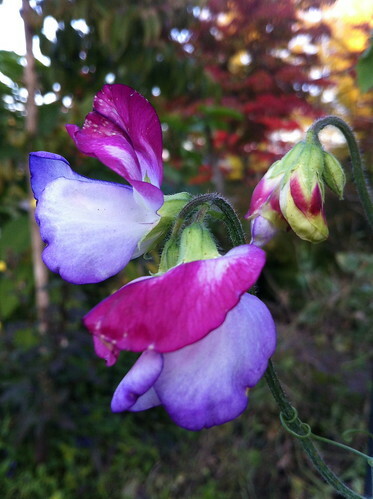 You can only imagine my delight finding the fragrance garden still alive with some fragrant energy still intact: sweet peas were what truly invited me to the garden, which looked rather miserable as a whole. Sweetpeas have such a delicate perfume that I'm at loss of words to describe except that I'm sure I've smelled soaps that try to imitate it rather well... Their delightful colours are more dense in the petals' edge, like stains of watercolour. Scented geraniums (pellargoniums, really...) including musk and apple scented ones. 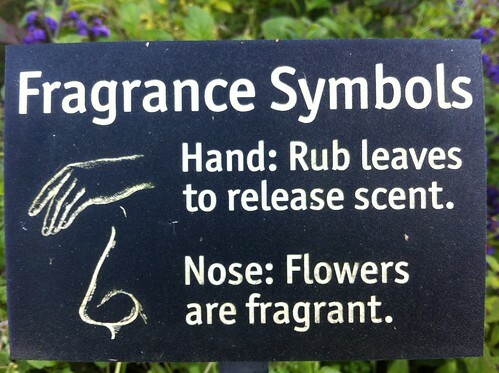 It's the leaves that are fragrant, so that's where the hand symbol should be (curiously, the nice botanical signage did not include the "Fragrance Symbols"). I was very touched to see a fragrance garden at VanDusen. 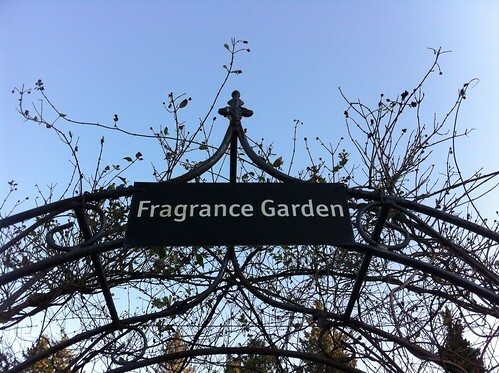 Vancouver is now known for being particularly fragrance friendly, so it's thoughtful that they have planted an area dedicated to perfumed plants. 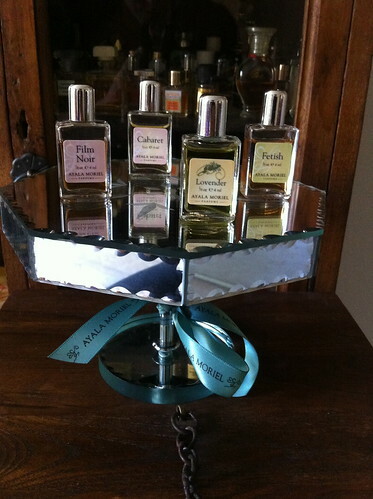 I hope more people will learn to appreciate scent - if not perfume and the many beautiful fragrances that surround us. I am very much inspired to plan and plant my own fragrant garden. I just need a little more land around me, but that's another story... In the meantime, I'm thankful for the many beautiful gardens in my city, and I hope that you are also fortunate to have gardens you can enjoy. They are truly like sanctuaries. 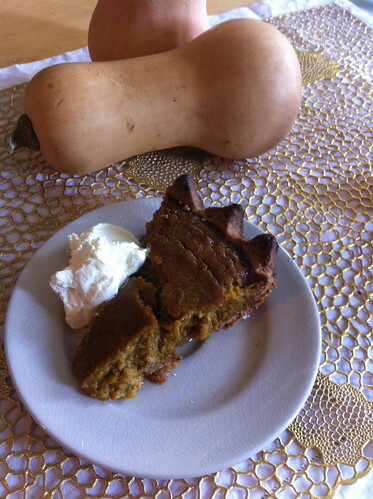 Pumpkin Pie, a photo by Ayala Moriel on Flickr. Happy Thanksgiving to all of my fellow Canadians celebrating! We've been fortunate with a glorious sunny autumn weekend, allowing us to breath in the crisp, sweetly scented fall air, gather inspiration in VanDusen Gardens, and drench our bones in some kayaking adventures in Deep Cove. 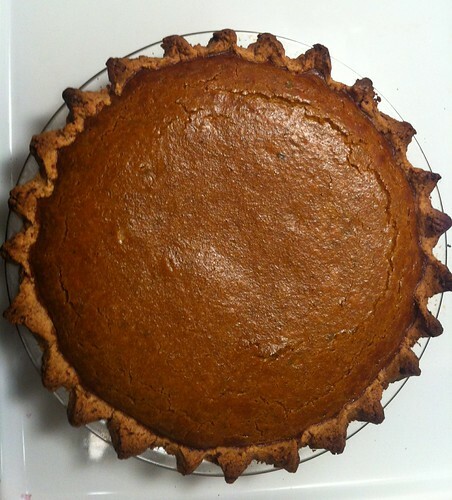 In the meantime, I invite you to try my pumpkin pie recipe, with an orange-lavender crust. 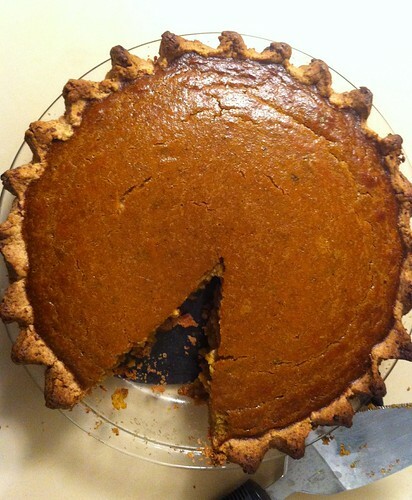 FYI I used roasted fresh pumpkins for this pie in the picture - and it gives it a beautiful depth with hints of smokiness. 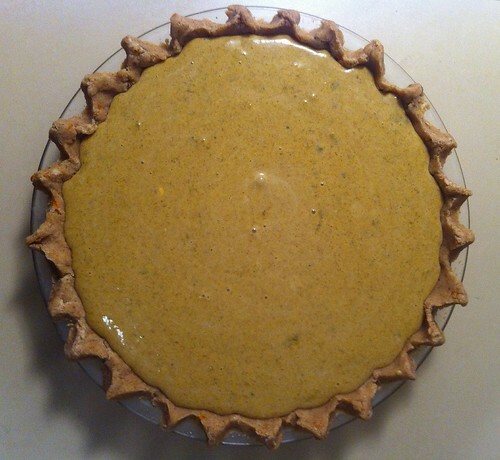 - Using your fingers or a manual dough blender, mix together butter and flour inside the pie pan. Add the rest of the ingredients and knead just until a dough forms (avoid overworking the dough, as it would take away from its flakiness). 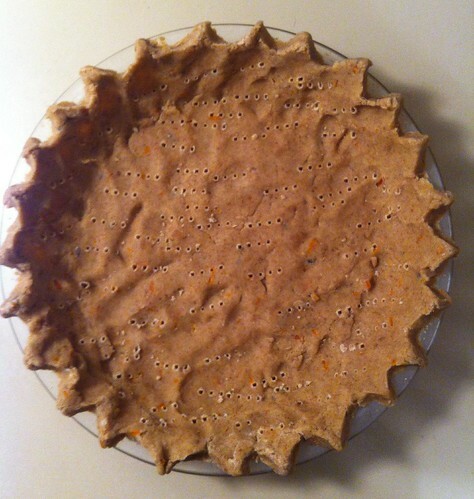 - Press the dough firmly onto the pan to spread it evenly and line the pie pan (including the sides of course!). Bake in 350 F (170-180 c) degrees for 40-60 minutes, until the filling is set. Serve warm or cooled down to room temperature. 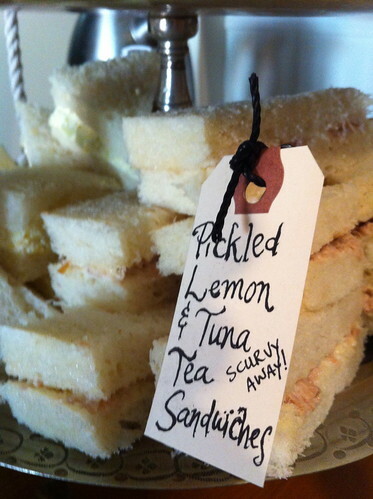 Serving suggestions: I like it best on it's own with milky cinnamon or chai tea on the side. 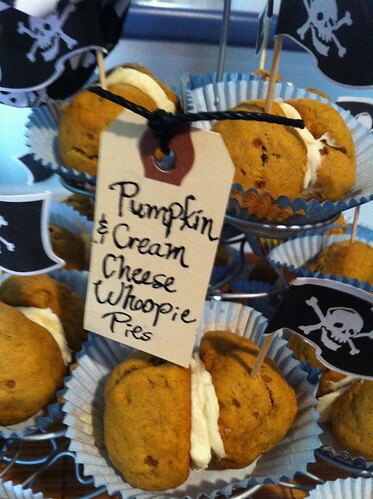 But of course you can’t go wrong with the traditional a-la-mode (be sure to use real vanilla bean ice cream) or a dollop of freshly whipped cream or crème fraiche. ., a photo by mariehochhaus on Flickr. Au Delà ("The Beyond" in French) creates a dynamic movement of warmth and light on a backdrop of dark and cool elements. The first inhalation is bright: notes of bergamot, linalool and neroli shed a sudden light on the skin and create a brief reference to herbaceous, lavender-tinged Provencal cologne. Simultaneously, there is a rise of honeyed resinous amber, like warm water flowing quietly from a hot spring. Orange blossom brings even more nectar and sunshine to the heart notes. 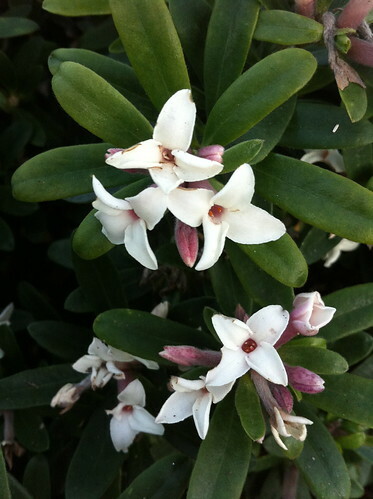 The second violin of jasmine intensifies the orange flower's indole, sinking even deeper into the edgy, earthy, salty and slightly bitter tones of green oakmoss and dry, almost smoky cedarwood. From there on, there is a certain saltiness to Au Delà, the oakmoss relating to the amber like fleur de sel to caramel, and the amber in return echoing the sweetness and sunny warmth of orange blossom. Au Delà defies definite categorization - aromatic, but not quite a fougere; floral, but with far more depth than a pretty floral bouquet; it is not a Chypre either in the usual sense of the word (but then Chypres are never "usual", so this might be the best way to related to it). But with the amber dominating the dry out notes - a sweet yet clear and bright amber, reminiscent of the base of Obsession - it might just be an oriental (note that Obsession has also a prominent presence of oakmoss). Stepping back a bit, I you realize that it's only one definite personality is change itself. However, technically speaking - it might be that the dynamic shift between its phases will morph into something entirely different and more stable as the perfume matures a bit longer in the bottle. The musical influence on this creation is apparent (it was inspired by the complex rhythms and harmonies of 20th century composer Olivier Messaïen - and in particular his last piece, Éclairs sur L'Au Delà, and in particularly the movement titled Demeurer dans l'Amour, which you can hear in the clip below). The perfume readily lends itself to adjectives borrowed from the musical and movement worlds: counterpoint, harmony, tension, rythm and flow. Movement and air seems to be the theme of Au Delà. It seems to live in the element of dry, warm air for the remainder of the piece. Every Friday we go to Southlands for my daughter's therapeutic horseback riding lesson. It is part of a beautiful heritage farm, and there is always something to see, smell and sometimes even taste around there. There's a magic path around the orchard and the vegetable gardens, where chicken and lambs roam free among the old apple, pear, plum and quince trees. Whenever I decided to leave my phone in the car, I regret it because I always find something along the way that I want to photograph and find inspiring. So I figured I'll try to start a little corner for the farm treasures I find every Friday, which is usually a very short day for me that needs to pack a punch - and usually find not time whatsoever for blogging. 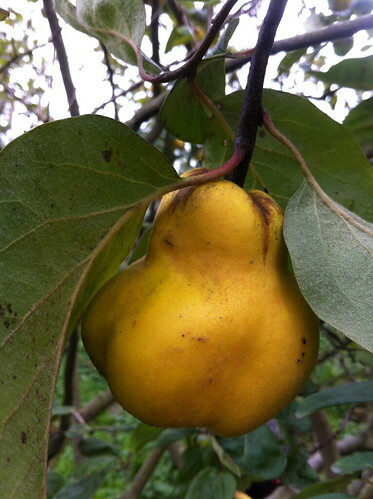 Today I saw the quinces ripen on the tree and also purchased a pound from the farmer's stand at the barn. I decided to poach them in white wine, brandy, honey, lemon peel and juice, bay laef, cardamom, juniper berries and rose petals. 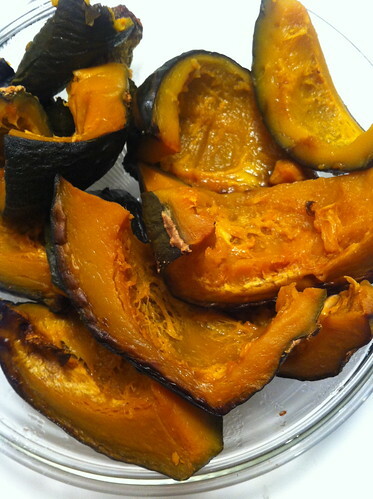 As I type this, my house is filled with this aromatic melange of spices, herbs and fruit. And tomorrow these quinces will be served at my Thanksgiving dinner table as part of a quince and blue cheese salad. Bring all ingredients to a boil, then add wedges of quince, and simmer for 30 minutes. 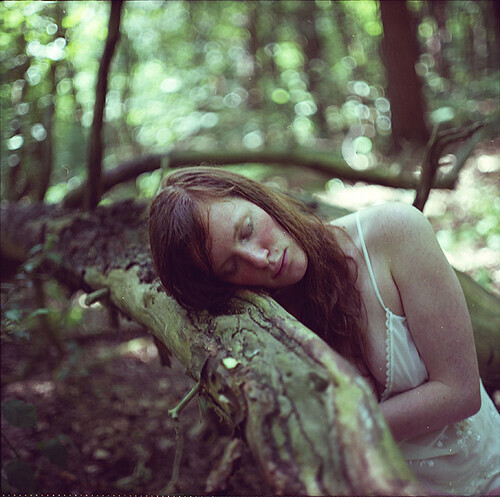 crepe de chine, a photo by Millie Motts on Flickr. One of the legends of perfumes of yore is Crêpe de Chine, created by Millot perfumer (and the founder Félix Millot's grandson) Jean Desprez in 1925, the same year the iconic Shalimar was born. However, unlike Shalimar, Crêpe de Chine did not survive long enough to undergo the many embarassing reformulations that so many classics have faced throughout the years. No, Crêpe de Chine remained true to its original self, and coming across the bottle is akin to a private sniffing session at the Osmotheque. 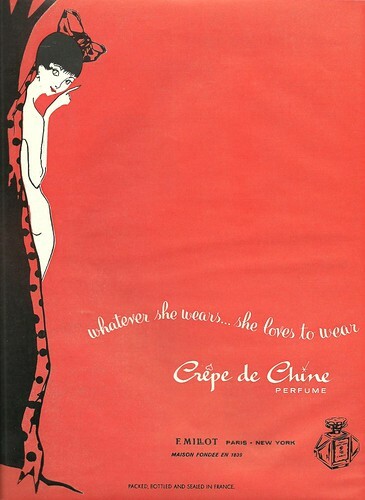 I always imagined Crêpe de Chine to be a dark, mysterious, ineffable creation that I would only admire from afar when I finally encounter him (I thought of this perfume as a very serious masculine creature, perhaps a very severe fashion designer constructing accurately flowing evening gowns from this particular fabric). Non of this turns out to be the truth about Crêpe de Chine (except that its beauty is indeed ineffable!). A vintage half-full bottle of the eau de toilette landed in my mailbox two evenings ago as part of a swap with a perfumiso from the Netherlands, and added a lot of beauty to every moment of my life since I could not stop applying and re-applying. The vintage bottle itself is also easy on the eyes (though a bit too generous with spilling out its precious jus to the sides of the spray nozzles every time I apply a spritz or too - a sure sign that bottle designs have improved in the past 50 years or so - Crêpe de Chine went off production in 1968, a few years after Millot was purchased by Revillon). Nothing could have prepared me to what Crêpe de Chine would smell like. But, I didn't really need any preparation: Crêpe de Chine was one of the very rare cases of love at first sniff, with a very complex perfume. It begins with a burst of laughter, emanating from a rush of galbanum, crushed sweet basil and zesty citrus! I'm surprised these vibrant notes managed to remain in the bottle after all these years and remain true to their zestiness. Playful, cheerful, bitter-green but not intimidating or formal at all (which is often the vibe that one gets from cool, bitter greens). Moving quickly to the heart of Crêpe de Chine, deeper notes of incense and hints of smoky leather begin to swirl around the skin, and this warmth stayed with me for hours, lingering like the remnants of an ancient ritual, omitting the charred aftermath. Sensual and reassuring, like a quiet reminder to breath in the beauty around us! The fine aroma of lingered fragrant smoke kept weaving through my aura, making me smile every time. This incense effect is achieved, I believe, from the conjunction of fine, santalol-rich East Indian Sandalwood (now extinct), aged Indonesian patchouli, the resinous-leather-incense-amber of labdanum, and musk. Weaving through the wafts of incense, earthy and warm aromas of forest floor and sun-warmed hills bring grounding. Labdanum and oakmoss, surrounded with the spice of carnation and hints of cinnamon. Ahh... How I love the roundedness, complete mystery of Chypre! No one note truly sticks out, though I'm certain there are plenty of florals to support this very abstract structure. Finally, we come to the drydown, or deepest base notes. Here the sweetness of earth and sunny rockroses is replaced by the bittersweetness of coumarin (could be from tonka beans, but most likely supported by the first synthetic aromachemical used in perfume history), paired by non other than clean and dry vetiver. That's a balanced duo, and a very surprising finish to a masterpiece olfactory tale with many twists and turns. At which point, you wonder if it isn't a fougere after all... And indeed, like some other reviewers of Crêpe de Chine, it is suitable for men to wear and enjoy without worrying about smelling like a bouquet of flowers or a lacy hosiery. With September bearing some of the warm light hearted traits of summer and November being the frigid prelude to winter, ominous October is at the chilly heart of Autumn. This time of year evokes images of harvested sun-ripened fruits and vegetables, carved pumpkins, skeleton-leaves and barren trees. In light of October’s festivities of transformation and harvest, we have found ourselves captivated by a few haunting stories and legends. The beautiful aspect of story-telling, is that whether the stories are fact of fiction, they capture some of the most relatable, fearful, tragic and joyous aspects of life. We have selected perfumes that capture the mystical optimism as well as fatal darkness of these legends, many of which are centuries old. Whether you choose to embrace or eschew this fantasy-soaked month, we encourage you to immerse yourself in a beautifully written book, doused in a complex perfume that unfolds on the skin like a story, defying logic or reason while tapping into the deepest corners of your soul. Unlike the 1959 animated movie by Walt Disney, the original fairytale of Sleeping Beauty is by no means a lighthearted story. A dark tale written in the 16th century, the story centers on a young beautiful maiden, cursed to sleep forever until she is kissed by her loving man (spiritually interpreted as the awakening of her animus). Treazon, a perfume that celebrates the narcotic tuberose flowers, captures Sleeping Beauty’s underlying theme of corrupted innocence. Written by Robert Louis Stevenson in 1886, the sinister tale of Dr. Henry Jekyll and Mr. Hyde has mesmerized and horrified readers since it was brought to print. By day Dr. Jekyll is an appraised doctor and by night he is the sinister, murderous Edward Hyde, the line between his true self and alter ego (or “shadow”) gradually becoming more blurry. The classic story of good versus evil is haunting and unsettling because it represents the battle between lightness and darkness that we each carry inside of us. Schizm pays tribute to this universal theme of internal conflict and contradiction. 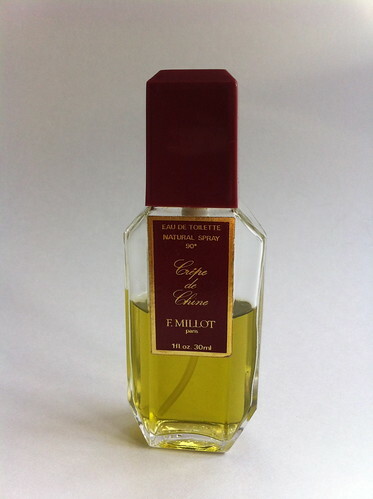 The fragrance opens as a green, dry and earthy fragrance, cool and crisp as the day time. As the scent warms with the heat of one’s skin, the fragrance transforms into a warm, spicy and slightly carnal oriental perfume, as rich and unyielding as the night. The tale of Bluebeard is one of the most terrifying we’ve ever encountered, of a serial-killer husband whose slain wives are discovered in his basement by his young bride. Once the truth comes out, she no longer can live in denial of the predator she picked for a mate. Not only does she cease to believe in the charm of her blue-bearded companion – she needs to fight for her life. However, most deeply speaking, this sinister discovery led to the awakening of her deep, active soul-force and she is able to not only defeat him, but also emerge as a strong woman out of her naive mistake. Orcas Beard Oil is for the bearded gentlemen and ladies among us, and is as cool as the ocean and refreshing as the breeze. 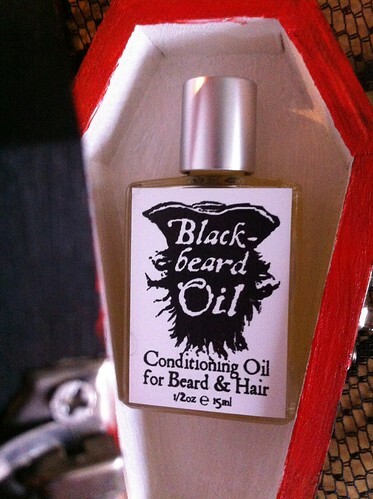 You can wear it as a beard or hair perfume, and use it to style your locks. Like so many fairy-tales, this childhood favorite combines quintessentially innocent elements of childhood with dark themes of murder, cannibalism, and witchcraft. Playing tribute to the classic treat of the same name, Black Licorice brings to mind dreams of candy houses, ghouls and shadowy nights spent trick-or-treating. The Purple Dress is exotic and enigmatic, evoking images of an elusive yet vibrant woman who comes alive at night but cannot be found in the day. Star anise, black tea, orange juice, honey absolute, orange blossom, and champaca rest on a bed of sandalwood, nutmeg and guiacwood. This fragrance has a duskier mood, yet shimmers with romance and fantasy. With smoky notes of frankincense, tobacco and myrrh combining with rich, sensual dark chocolate, Incense & Chocolate one-of-a-kind fragrance embodies the cruel yet sultry spirit of Bram Stoker’s Count Dracula as he cursed Christ in a candle-lit, incense-choked church. Truly a signature perfume, the customer that purchases this fragrance also purchases the rights to exclusivity ensuring that this fragrance would only ever be made for them (and those they choose to bite…). Precious notes of olibanum, labdanum, cardamom, and champaca celebrate the coming together of the physical and spiritual realms through the ancient rituals of drinking hot chocolate and burning incense. Smoky dim-lit bars and foggy alleys are the settings for many horror stories and murder mysteries. The mysterious unnamed men of the night have always ignited fear into the minds of those who appreciate a good murder story. Espionage's smoky tobacco, leather, vanilla, orris root and tonka bean encapsulate the smell of scotch and cigar smoke that would fill a hidden, alley-way bar at the darkest hour of night. Louis Carroll’s eccentric story of a young girl who falls down a rabbit hole into an alternate, hyperbole universe is at once optimistic and ominous. The fantasy of the story and of Alice drinking a potion to fit through a tiny door into Wonderland at the beginning of the story is frightening yet captivating in that she is able to experience this strange new land from many different perspectives and is free to do so without the limitations of normal life. An ethereal floriental, White Potion, with notes of tuberose, coconut, tonka bean, ylang-ylang and grapefruit captures the sweet naiveté of Alice as well as the exotic strangeness of Wonderland. We encourage you to try our White Potion chocolate bar – a bite from which might make you bigger or smaller at will. Creamy and decadent white chocolate that is subtly scented with tuberose and embedded with vanilla seeds, almonds and shredded coconut, it is a treat that you will truly never forget – and can even share with children, as it is our mildest of all 4 fragrant bars we’ve created with CocoaNymph. Spicy, fiery and unusual, InCarnation is a soliflore tribute to the rich aroma of carnations. Carnations are a flower with many different olfactory facets: green, spicy, creamy, sweet, cool and warm. 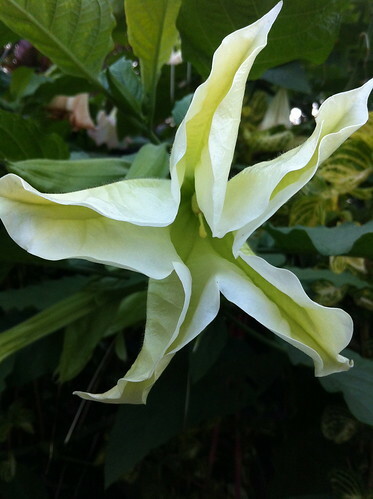 The ever-changing, slightly carnal scent of this flower is true to the name of this perfume which describes anything that is in the flesh, incarnate. Reincarnation describes the process of one passing and then being born again as a new being, a theme that is present in many legends and fairytales and is predominant in the tale of Snow White and the Seven Dwarves. Snow White was blessed by her mother to contain the three spiritual colours: white as snow (purity and selflessness), red as blood (passion and zest for life), and black as wood (shadow, the dark side of the psyche). However, Snow White chooses to lead a one-dimensional life “white” life which leads to her fatal death by the red poisoned apple – only to later resurrect as a stronger, more complete person that musters the courage kill the evil queen. InCarnation perfume features all three colours – white intoxicating tuberose, firey red carnation and warm spices, and black and animalic African stone tincture. Dreaming Parallel is a fragrance inspired by the short story "La Morte Amoureuse” that was written by Théophile Gautier and published in La Chronique de Paris in 1836. This tale takes place in France and is about Romuald, a priest that falls deeply in love with a young woman named Clarimonde who is revealed to be a vampire. The nuances of lust, temptation and evil only succeed at making the love story within “La Morte Amoureuse” more inebriating and powerful. As human beings we yearn for love and security yet we also long for adventure and for this reason, forbidden romance stories with elements of danger never fail to mesmerize audiences. Dreaming Parallel’s sophisticated combination of cassie, costus root, ancient patchouli, leather, narcissus, Turkish rose, violet leaf along with naturally-sourced sweet violet notes of alpha ionone play homage to this dark tale of corruption, seduction and forbidden love. This is a very limited edition and we've only got 3 last bottles remaining. Wishing you a wonderful harvest season and October festivities! Dream Display, a photo by Ayala Moriel on Flickr. Happy to brag with my newly designed packaging, now on display at Dream Apparel (356 Water Street @ Cordova in Vancouver's Gastwon) and Adhesif Clothing (2202 Main Street @ 6th Avenue), which is the first store to carry Lovender perfume! Dream also has some of the old selection (in smaller sizes), which is at 20% off while quantities last.